On the whole, I prefer my soul music soft, opulent and orchestrated, a sound that tends to be associated with Chicago in the very late 1960s and with Philadelphia in the early 1970s going into the disco era. Strings, doo-wop-style harmonies, falsetto lead vocals, steady but unflashy drumming, a bass guitar groove that was infectious but happy to play second fiddle to the top line – these things that characterise soft soul are the things that really send me. But listening to it all the time is like surviving on a diet consisting of nothing but cream cakes. A really great deep soul or southern soul record can make the orchestrated Midwestern/East Coast variety sound effete, decadent even. Southern soul tended to do without orchestras. Its roots in gospel music and jump blues were more apparent, and while its arrangements may have often been musically sophisticated, they tended to use a small-band sound: drums, bass guitar, electric guitar, piano and organ (especially organ), and a small horn section. It was, yes, gritty- and dirty-sounding, but sanctified – it hadn’t moved that far from the church. 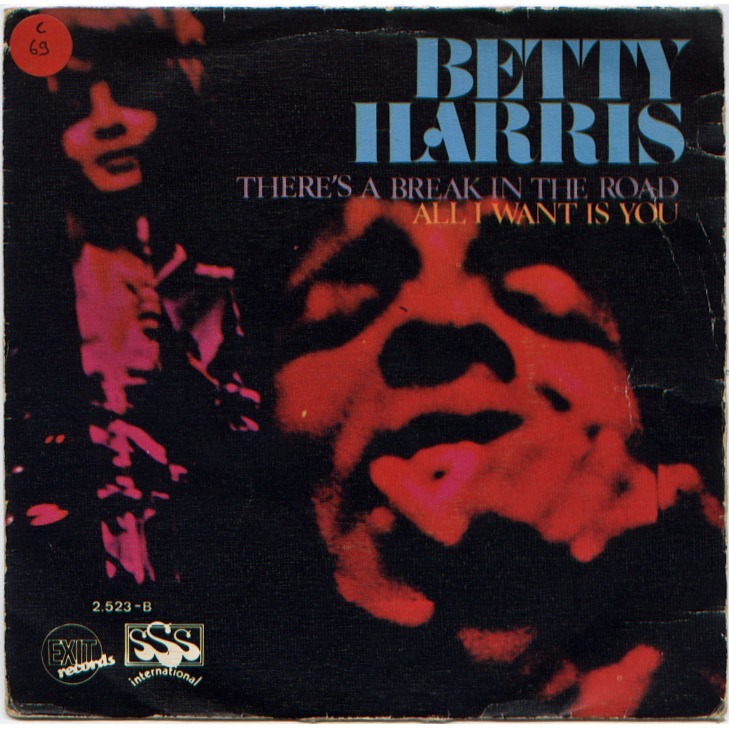 Betty Harris didn’t cut many tracks in her career, but her body of work is revered by connoisseurs of this kind of raw soul music. She had begun her career on Bert Burns’ Jubilee label, and in 1963 released a hit version of Solomon Burke’s Cry to Me with a gorgeous vocal, alternating between a smoky whisper and a passionate roar. Harris’s record slowed the tempo down to a crawl, but it was irresistible and was a pop hit. Despite this early success, Burns’s attention was occupied by his bigger artists and his own private life, and soon Harris was without a producer, and to make matters worse, a manager (‘Babe’ Chivian) in legal trouble. The appearance in her life of the great New Orleans producer and songwriter Allen Toussaint must have seemed propitious. There is some debate whether a deal with Toussaint was brokered by her manager (still Chivian? A subsequent manager? ), or whether Toussaint approached her and her representative after seeing her sing live at the Apollo. However it happened, Toussaint had set up a venture called Sansu with Marshall Sehorn, and soon Harris was recording for the fledgling label, usually flying in to cut a vocal on a track written and arranged for her by Toussaint, leaving before the song was mixed. Toussaint is a towering figure in New Orleans music, a writer of numerous classics (Working in a Coalmine, Ride Your Pony, Southern Nights), a great arranger and pianist, and a likeable singer in his own right, but his magic failed to work on Betty Harris’s career. She cut a lot of fine records for Sansu, but none of them were hits, and eventually – dispirited by the lack of success and her lack of involvement in making her own records – she quit singing in the early 1970s. Before she did, she made one last great track in 1969, (There’s a) Break in the Road, a fire-breathing monster powered along by the Meters (more about this later). It’s about as raw a soul record as has ever been made, the guitar feeding back throughout, the snare drum and horns audibly distorting. It sounds like band in a room, loud as hell. No other record I know of sounds as present, as ‘there’, as Break in the Road. It verges on psych territory, with post-Hendrix trills on the guitar and drumming that savagely pushes and pulls at the groove, with syncopations so complex that they nearly go out of control. The song spends most of its 2.45 running time on the very edge of falling apart, and it sometimes seems as if Harris and her backing singers are holding the whole thing together only by force of will. So who is the drummer on Break in the Road? Most of the sources I could find seem agreed that the guitarist and bassist are the Meters’ Leo Nocentelli and George Porter Jr, but opinion seems split on whether the drummer is the Meters’ own Ziggy Modeliste or James Black, a fellow New Orleans funk drummer known for his work with Eddie Bo. 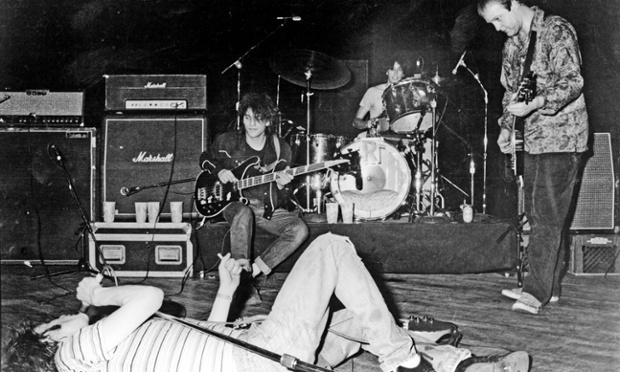 If you listen to Hook and Sling, Black’s best-known work, there are moments in the breakdowns every bit as far out and gonzo as those on Break in the Road, so it could easily be him, however much it sounds like Ziggy on first listen (and a lot of that may be be down to the engineering and production choices – perhaps a larger part of the Ziggy Modeliste drum sound comes from the recording techniques than has often been assumed). I wish I knew for sure who it was. What is beyond contention is that this is Harris’s finest achievement, better even than Cry to Me. And that’s saying something. This entry was posted in Music and tagged Allen Toussaint, Babe Chivian, Bert Burns, Betty Harris, Break in the Road, Chicago soul, Cry to Me, Deep soul, drummers who can drum/singers who can sing, Eddie Bo, Gamble & Huff, George Porter Jr., Hook and Sling, James Black, Leo Nocentelli, Marshall Sehorn, Philly soul, raw soul, records that sound great!, Ride Your Pony, Sansu, Solomon Burke, Southern Nights, southern soul, the IMpressions, the Meters, There's a Break in the Road, Working in a Coalmine, Ziggy Modelist on March 13, 2014 by rossjpalmer.